PHILADELPHIA, March 22, 2007 — After a six-month search, Temple University President Ann Weaver Hart announced that Lisa Staiano-Coico, dean of the College of Human Ecology at Cornell University, has been selected as Temple’s new provost, the chief academic officer for the university. Hart made the announcement and introduced Staiano-Coico (pronounced sti-Ä-no KOY-ko) during her inauguration address today at the Liacouras Center. Staiano-Coico will assume her new responsibilities on July 1, 2007. When she arrives at Temple, it will be the first time a Philadelphia university will have women simultaneously in the positions of both president and provost. 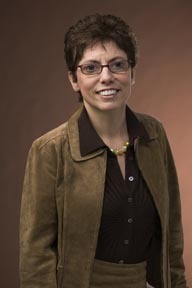 As dean of Human Ecology (one of four Cornell colleges receiving funds from New York State) from 2004 to 2007, Staiano-Coico led a college with a $70 million budget, more than 1,400 students, and a research program of annually $23 million in design and environmental analysis, human development, nutritional sciences, policy analysis and management, and fiber science and apparel design. Under the leadership of “Dean Lisa,” as she is known by Cornell’s students, faculty and staff, the college expanded its academic offerings; created a pilot research award program to stimulate interdisciplinary, collaborative research; and piloted a student-mentor program that paired students with alumni professionals. From 2003 to 2005, Staiano-Coico directed the Tri-Institutional Research Program, a $160 million research consortium of Cornell University, Memorial Sloan-Kettering Cancer Center and Rockefeller University. From 1987 to 2004, she held academic and administrative leadership positions at Cornell’s Joan and Sanford I. Weill Medical College in New York City, where she ascended to vice provost for medical affairs and external affairs, and division chief of surgical research in the department of surgery. A widely published expert in skin cell biology, wound healing and burns, Staiano-Coico has been a Cornell faculty member since 1983. Over the past 10 years, she has held appointments as professor of nutritional sciences, professor of fiber science and apparel design, professor of microbiology in surgery, professor of public health, and professor of microbiology in dermatology. Her research has been funded by the National Institutes of Health (NIH), the New York Firefighters Burn Center Foundation and other agencies. Staiano-Coico also conducts research on adolescent drug and alcohol abuse; one of her projects assesses the effectiveness of Cornell’s alcohol education programs for college freshmen. Her recent professional appointments have included service as a member of the NIH’s National Advisory General Medical Sciences Council, as well as a chair on the NIH’s National Institute of General Medical Sciences Special Emphasis Panel concerning trauma training and the Special Emphasis Panel of the NIH’s National Center for Complementary and Alternative Medicine. Staiano-Coico also was a member of the Association of American Medical Colleges’ Task Force on Research Institutes and Centers. She is past president of the International Society for Analytical Cytology. A native of Brooklyn, Staiano-Coico earned a bachelor of science degree from Brooklyn College of the City University of New York in 1976 and a doctorate in microbiology and immunology from the Cornell University Graduate School of Medical Sciences (now Weill Cornell Medical College) in 1981. She conducted her post-doctoral research at Memorial Sloan-Kettering Cancer Center from 1981 to 1983. As Temple’s provost, Staiano-Coico will be the university’s top academic officer, responsible for Temple’s 17 schools and colleges, its undergraduate and graduate programs, and its research enterprise.